Stop paying $720 a year for back waxing. End your back hair problem today. Convenient ordering with your Credit Card, Mail or FAX. 30 day warranty. Your privacy is important to us. We ship in a discreet corrugated box. There is no indication of the contents on the box. No special razors needed. 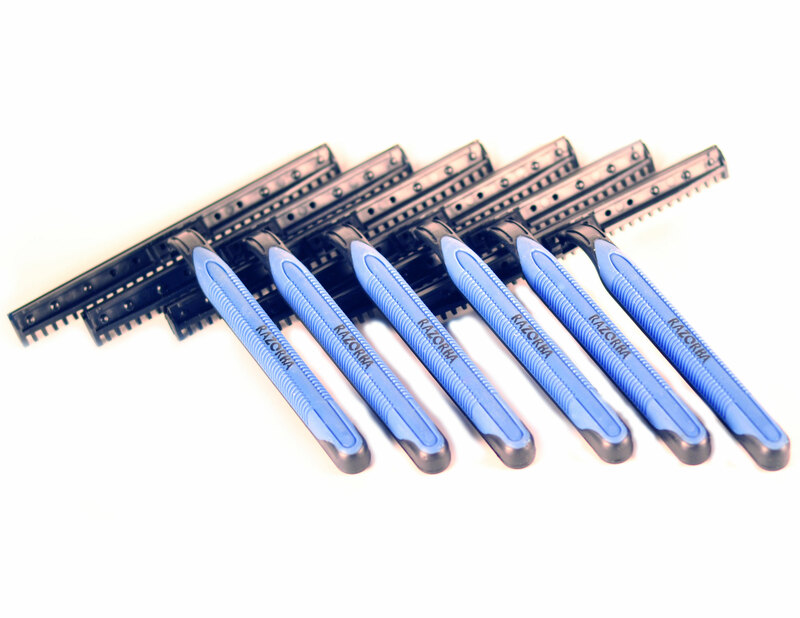 Attach these bad boys to your Razorba Shaver! 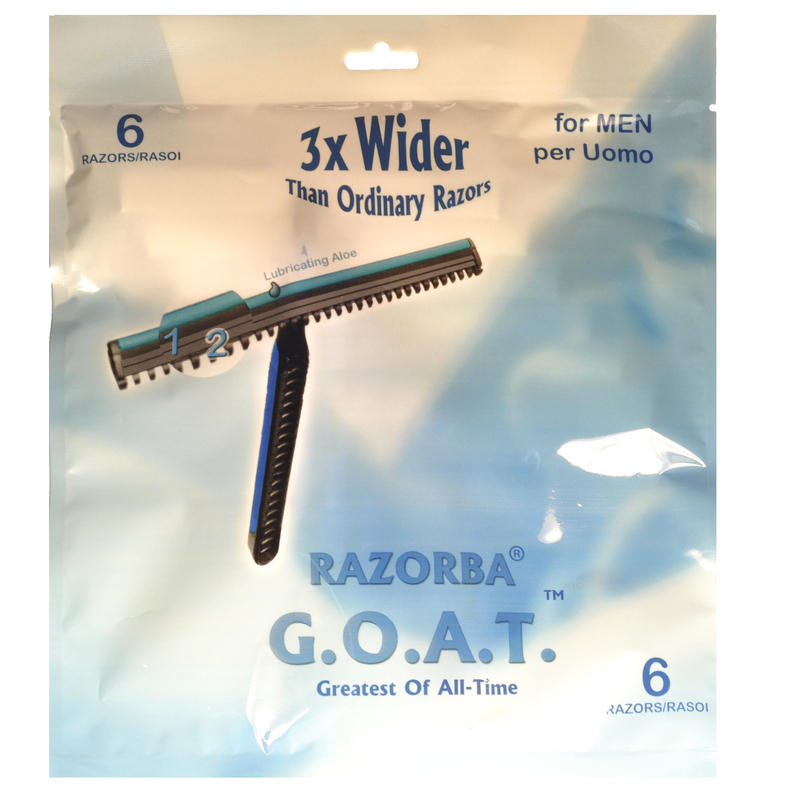 Razorba G.O.A.T. 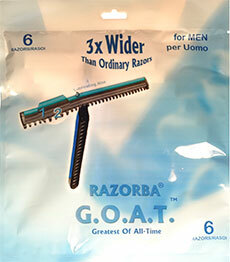 (Greatest-Of-All-Time) Razor is a double blade razor with Aloe moisture strip for back and body shaving. Compatible with all Razorba Back Hair Shavers for the ultimate fast and comfortable back hair shave. Can also be used for general body shaving. 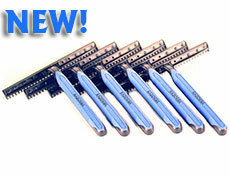 The razor is extra wide (4 1/2 inches) with comb for fast and comfortable shaving on long and short hair. Slim shaving head for added control especially on the hard to reach spine area. Razorba Back Hair Shaver sold separately. 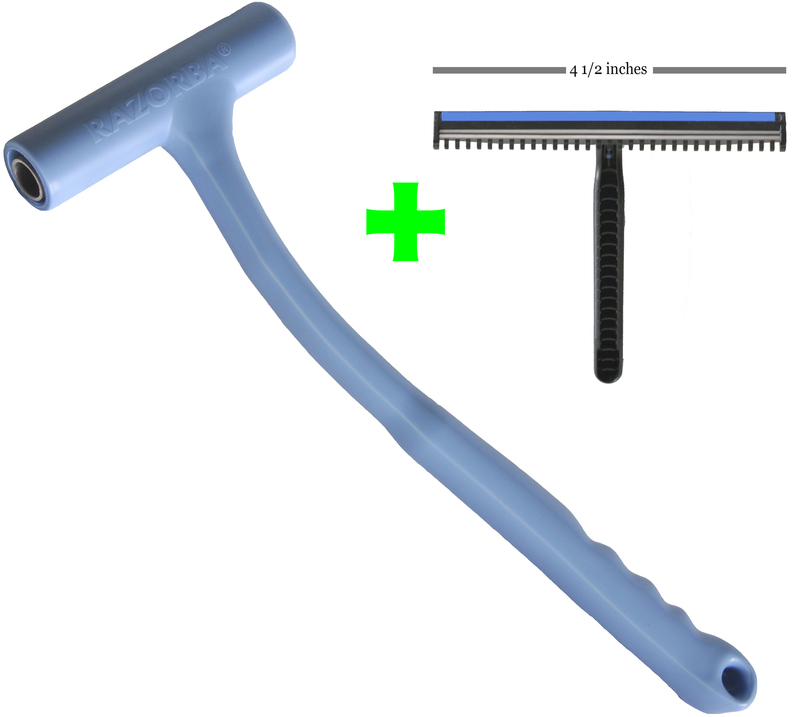 Easily apply shaving cream or gel to your back with the Razorba® Stud Stamper™ applicator brush attachment. You've heard of tramp stamps for ladies. Men, get ready to stamp yourself a stud with the Stud Stamper from Razorba. Works with all models of Razorba Back Hair Shavers. Each package contains 3 brushes. Order 734-274-9012 Monday - Friday, 10am - 6pm EST.